Well this will be more so to document things that I plan, and to hopefully gather more knowledge to do so. I've been reading up on everyone's mods as well as getting lots of ideas. The truck so far, as it stands has a few of the go to starters. I've put a spectre cai, borla xr-1(single, soon to be dual'd), edge cts, kenwood double din touch screen, dsg painted headlights, nightshaded tails, 2" readylift, and have plastidipped the factory 20's flat black. 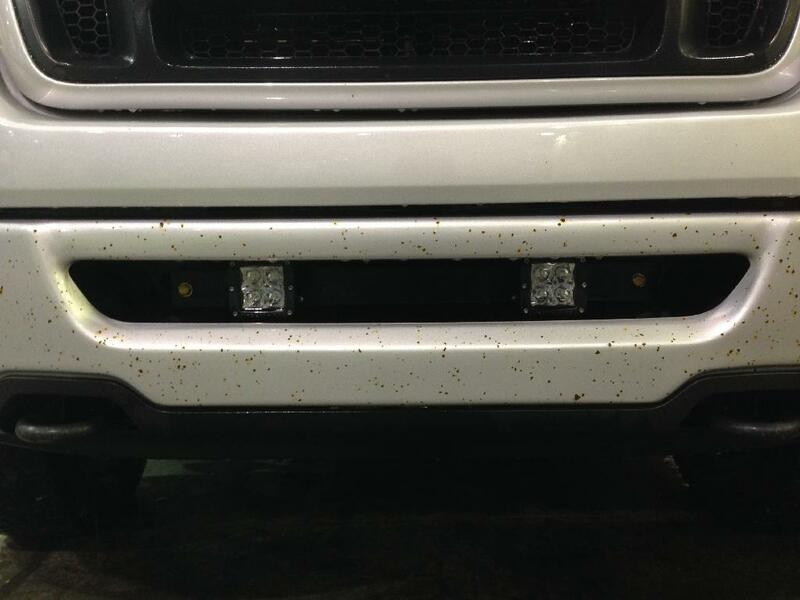 I have a set of rigid d-series fogs in the bumper opening. Don't mind the rock chipped front bumper, I've been waiting for my uncles body shop to get their bake booth up an running. That will be getting fixed soon enough. One thing I've decided to jump in feet first with, is my first retrofit. I've ordered the fx-r stage 3 kit, with Gatling gun shrouds, 55w 5k bulbs and ballasts. Also ordered the oracle halo kit in 8k white ccfl for the heads, and the oracle depo preassembled fogs in 8k to match. I will eventually retro the matchbox into the fogs, but it's not high on the list. This spring I will also be getting a set of the 295/60/20 open country at2's. Good looking truck, very nice retrofit plans. Looking forward to your future build and modifications! The only thing that spoils it is that POS Sphincter intake. How did Bill manage to write a MAF transfer function for that thang? Hope you are running a corrected tune - otherwise it needs to go. Doesn't do a thing fer perf anyway and is arguably the worst intake known to man or Klingon. EDIT: Oracle's have a nasty tendency to fail - not real reliable - just ask 88Racing... may wanna reconsider. Good luck with the retro, eh! Last edited by MGDfan; 01-17-2014 at 09:36 PM. As far as the spectre intake, I haven't had any issues with it as of yet. And the tune is just a canned tune. Nothing spectacular. The intake sure growls though. Really like the sound it produces. Edit: and as far as the saleen grille goes, I would love to get one. Unfortunately for my luck, I am unable to find one. Really hot item as you all already know. Last edited by baticus; 01-17-2014 at 11:33 PM. Nice looking truck! Where did you get the retro kit and if you don't mind what did everything run you?! Everything came from theretrofitsource.com I got the stage 3 kit, which runs 315.00. Although it will go up if you want glue, or different bulbs and ballasts, and so forth. With the upgrades I got, 55w 5k bulbs and ballasts(10.00 a piece), glue(10.00) and 3" lense on the projector(10.00) it ran 355.00 with 39.95 shipping to canada. Any good source on those? I've checked eBay a few times to no avail. 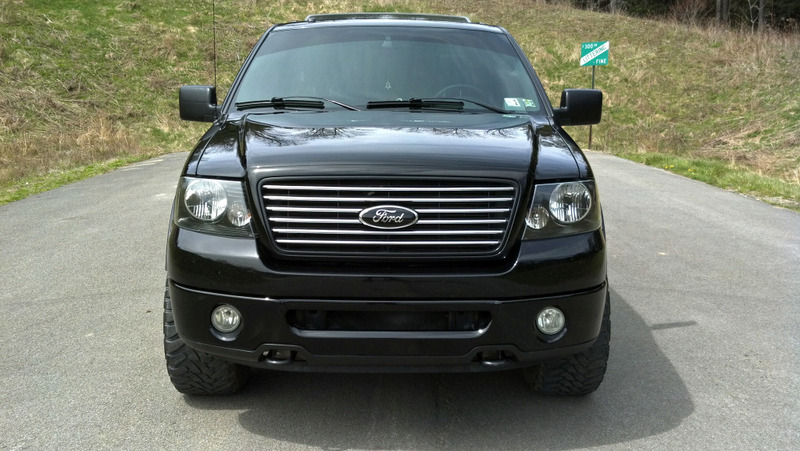 That grille comes in a close second to the saleen. Better looking than the grille that's on it at the moment. 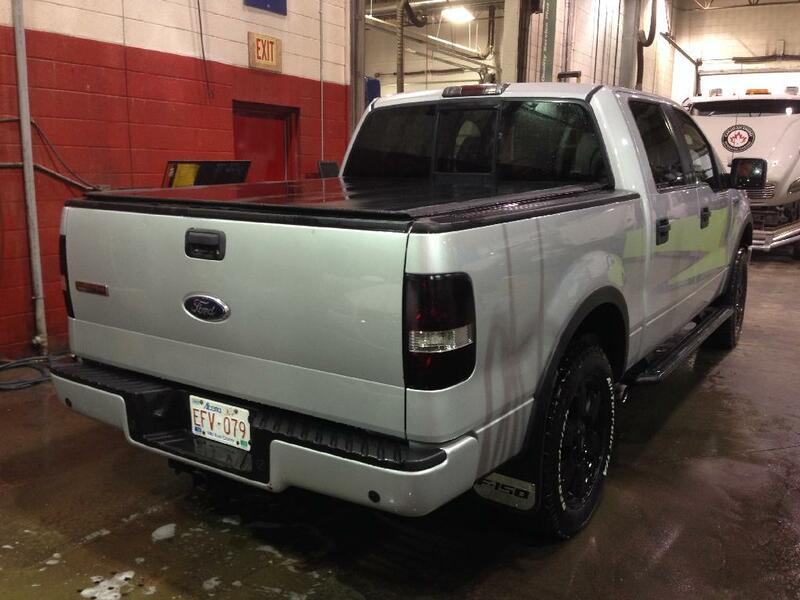 And darrenws6, your truck is beautiful. I was ideally looking for a black truck, as my 2000 was black. 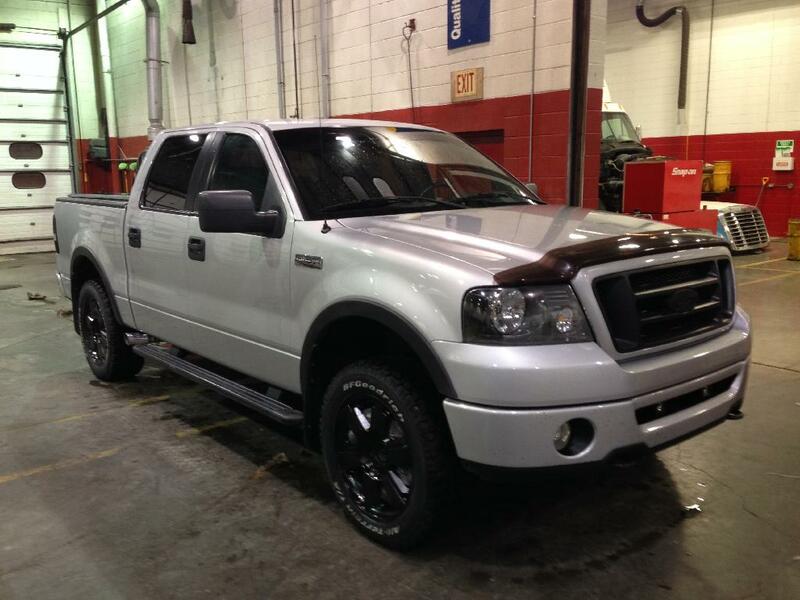 But I couldn't pass up this truck as it only had 75,000 miles on it. As opposed to every other truck having over 100. It also came with an immaculate title. The silver has grown on me, mostly since I've done the heads, tails, and rims. Found some hd grilles on amazon. 611.00. Wow, I'll check the local ford dealers before that. Yes they are not at all cheap. Mine was $579 + shipping from Tasca Ford parts. Anything that bares the Harley Davidson name will be price jacked, as will Saleen products. All depends how much you want something I suppose. Yeah I kind of figured so. As luck would have it I checked kijiji and found a guy somewhat local selling the hd grille, heads, fogs, tails, and third brake light. Just waiting for an email back to see if he has the parts still, and whether or not he's willing to separate. I'll take the heads as well. I would like a spare set to retrofit. All the better as they are oem take offs. Hopefully this pans out. Ok thanks! How hard is it to retrofit our headlights? Also what died the glue do and what's the difference in the 3" lense compaired to whatever the other lense is that's in the kit? Definitely a good looking truck. I agree on the Harley grille if you can. That would change the appearance of the whole front end. The new tires will look sweet as well. Nice looking truck! I think the grill is fine, just needs a Ford emblem back on it. I switched to that grill from honeycomb, but have it painted black. Look up retrofits in the search function! There's tons of info on all of it. Thanks everyone. I'll get some interior pictures tomorrow. Basically stock aside from the cts mount, and double din DVD deck. I have also swapped the lights in favour of the led's. I do have the emblem back on the front. Just sprayed it black. I had painted it dsg and silver. But unfortunately I rushed the prep work, and it flaked after a rock chip. I'm putting off painting it again until I figure out what grille direction I will ultimately go. And as far as the retro, I picked the 3 inch lense because it's more aesthetically pleasing than a 2.5 lense. Although either fx-r will perform the same.